Relationships matter more than anything in business. Your success is based on people. Focus on building relationships so your marketing and selling can be done naturally, in a positive way. It’s not about persuading, tricking and twisting arms. It’s not about gimmicks and tactics. It’s not about being a pest and continually hitting people up until they cave and buy from you. It’s about listening to other listening to their concerns and helping them solve problems. 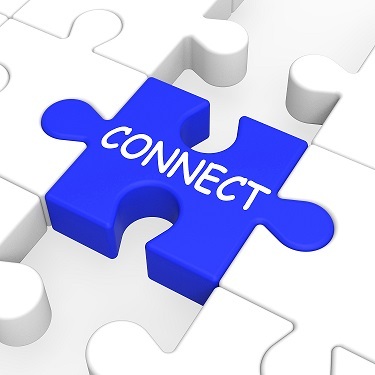 Connecting with others is the secret to making easier sales. Typically sales training focuses on talking at people: making a presentation. It’s a sales person pushing their product or service. It’s telling other people all about what they have to offer, overcoming objections and going in for the close in order to complete the transaction and earn the commission. The focus is not on building a bond by serving, but on serving one’s own self-interest with a fatter paycheck. Traditionally sales is all about the transaction. It’s about getting the deal done. Having the customer sign on the dotted line somehow makes it final — and official. The sale has closed. Then, they’re onto the next person to repeat the process. But when you look at sales in a different light, you make it much easier and far more effective. Foster the relationship, instead of going in for the kill. Consider what you do as a chance to meet people, to learn about different individuals and businesses and to essentially get paid to connect with others, make new discoveries and new friends. Quite a dramatic shift – and one that can make everyone happy. Get familiar with strangers so they feel safer and more comfortable talking to you – that’s the key. It’s about building relationships, connecting, and building trust and a level of comfort so that people are much more open to you. They let their guard down because you’ve put them at ease. When you focus on connection, you show a sincere interest in the other person. You discover their needs and wants. You understand their situation. With that foundation in place, you have the opportunity to be creative and if it fits, present your solution. Sometimes you won’t have the solution to their problem and that’s okay too. When you build relationships, people naturally come to know, like and trust you. This opens them up so they become perfect prospects for whatever it is you have to offer. Build a relationship and you’ll be more comfortable talking to people about whatever it is you believe in, whatever it is you’re selling. If you simply approach them and try to push whatever it is you sell, you have a slim chance of ever making the sale. Don’t be that sales guy. Sales should not be about getting something, or winning the sale or acquiring a new customer. It needs to be a win-win situation. But the place to start is with the other person. You want to build a long-term relationship because long-term relationships lead to a lifetime of sales, which is far more effortless and profitable than going in for the one time sale by accelerating to the close and getting the buyer to make a commitment. Sales people traditionally have a reputation of being dirt-bags because they’re always trying to push their interests first. The better approach is to build a connection so you become more likable, easier to deal with and people naturally open up to you. Many people despise selling simply because of the experiences they’ve had in the past. Numerous sales people trying to push products and services on them. No one wants to be an easy target… and people fear being pitched all the time. Change your approach to the “consultative selling method” where you analyze their problems and offer solutions. The thing is… the best answer for that the other person might not always be to buy from you. Quite alright. Just don’t push what you have and offer helpful advice instead. Everyone is different and you need to treat each as a unique individual. Some people will like you because you reinforce them at some level and that’s a good thing. Build the other person up. Make them feel like they’re a worthy human being. Don’t go in trying to push whatever it is you’re selling. Ask questions more than you present. Show a genuine interest in other people – this is how effective salespeople develop. Get others talking and you allow them to like you. Find a solution that meets their needs. Don’t get into a presentation before you do your investigation. Explore with questions and get to the bottom of their issue. Armed with knowledge, you can then suggest an appropriate fix. Discuss things openly and honestly and you’ll find that you rarely face objections because there’s nothing to object to by simply presenting a solution to a problem.